Angina is the chest pain that accompanies coronary artery disease. As cholesterol plaque impairs the transfer of oxygen from the blood to the muscles of the heart, angina pain occurs. 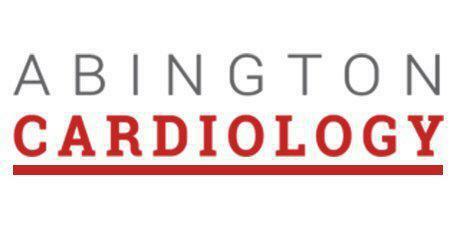 Dr. Meshkov and his team at Abington Cardiology in the Abington, Pennsylvania area work with many patients with angina and coronary artery disease. Schedule an appointment with Dr. Meshkov to create an angina treatment plan that works. What happens during an angina attack? Though it’s not always the case, angina usually occurs with some type of physical exertion or mental stress that causes the heart rate to increase, demanding more blood for the heart muscle. The symptoms usually resolve within a few minutes with rest, or by taking nitroglycerin under the tongue. This medication makes the heart work less and has long been an angina treatment. Are there other treatments for angina? Excellent medications have emerged to treat angina, and many patients with stable angina are treated using these, without the need for coronary artery bypass surgery or angioplasty. Unstable angina, that is, angina occurring with increasing frequency and severity, can lead to a heart attack or myocardial infarction and needs immediate medical attention. Treatment of unstable angina goes a long way toward the prevention of heart attack. Can angina be mistaken for a heart attack? The symptoms of angina, heartburn and heart attack can often be extremely similar. There are some ways to distinguish, but if there’s ever doubt it’s best to err on the side of caution and proceed as if it’s a heart attack. If the person in distress has heart disease risk factors, such as tobacco use, diabetes, high blood pressure, elevated cholesterol or obesity, then heart issues may be a concern. If tightness in the chest, throat, neck or either arm have additional symptoms such as nausea, vomiting, fainting or shortness of breath, chances are greater that it is a heart attack. Angina symptoms usually accompany increased activity and pass quickly with rest. If you think you’re suffering from angina, call or schedule an appointment with Dr. Meshkov and his state of the art team at Abington Cardiology. The practice is currently welcoming new patients and accepts most forms of medical insurance.